Nous'klaer Audio will release the Dutch producer's exploratory mini-album in April. upsammy is set to release an album as psychedelic and otherworldly as her genre-defying DJ sets. 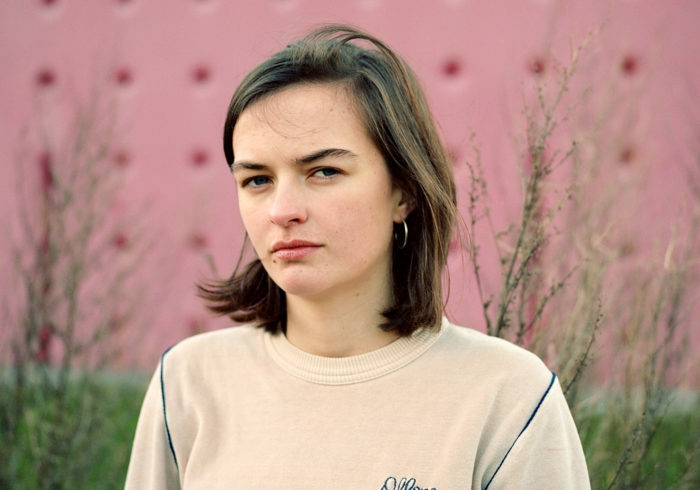 Officially billed as a mini-album, Wild Chamber sees upsammy return to label Nous’klaer Audio, the Rotterdam-based imprint with whom she released the Another Place EP. It was one of three records of unconventional and exhilarating electronica she put out in 2018—including efforts on both Whities and Die Orakel—that stamped her as one of the most exciting DJs and producers right now. Wild Chamber features eight tracks that encapsulate the full spectrum of the De School resident’s taste. Opening track “I Live Here” is a cinematic, electro-tinged groover that leads into the IDM ecstasy of “Screaming Colours”, which meanders gracefully into minimalist and melodic New Age vignettes. Despite the tracks’ variety when it comes to both style and BPM, they are all marked by an unmistakable lush and organic quality. Dreamy and shimmering with a hazy psychedelia, it’s the perfect soundtrack to usher in the longer days of spring. Check out snippets of the album above, and head here to pre-order a copy.